From talc rock to talc powder, the talc processing process involves mining, washing, sorting, analysis, milling (grinding, pulverizing) and packing etc. SBM Machinery will supply the state-of-art talc processing equipment all along the way to ensure a consistently superior product to meet the customer's specifications. Talc has a hardness from 1 to 2.5 in several types, such as foliated talc, stealite or soapstone, and French Chalk. Sorting process is key phase of the production process after extraction in order to cater to diverse product qualities for different product applications. After sorting, milling process will grind the talc down to 10um (1500 mesh) which is used for paint, plastic, papermaking, ceramics, rubber, cosmetic, electric cable, waterproof material, pharmaceutical-foods and so on. The major talc producers in the world are: American, Italy, Pakistan, India, Nepal, Australia, Brazil, Oman, Turkey, Guiana etc. SBM as a talc processing plant supplier in China, design talc processing flow diagram to make talcum powder production. SBM can offer talc mining equipment for extraction, processing equipment for beneficiation, crusher and grinding mill for talc powder production. 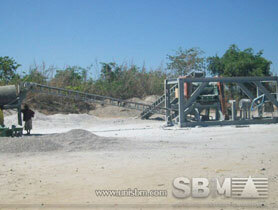 "Talc grinding equipments exported from China SBM is the lightspot of our developing process."